Roku, which is best known for its lineup of connected TV devices and boxes, now counts platform revenue as the majority of its business. In the company’s quarterly earnings report, released this week, Roku revealed that for the first time, its hardware business was overtaken by its ad-driven platform business as the company’s key revenue driver. In the last quarter, platform revenue was $75.1 million, up 106% from the same quarter last year. Its hardware business meanwhile was $65.1 million, down -3% from the same quarter last year. 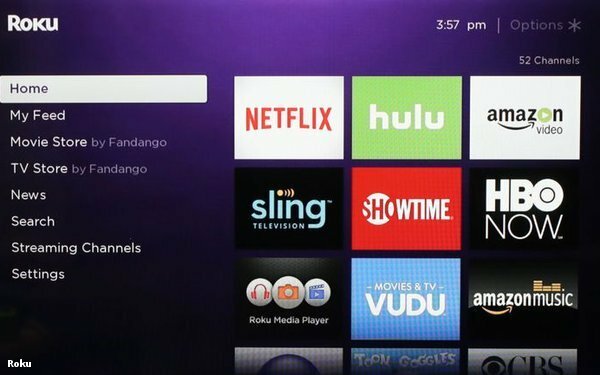 When it went public last year, Roku told investors that its future was as a platform, rather than a hardware seller. The company’s margins on hardware are slim, ranging from 3%-10%, while its profit margins on its platform are above 70%, according to SEC filings. The company is using its hardware reach to drive platform revenue, and is also seeking to license its platform to TV makers and other service makers. On the advertising front, the company is quick to tout its accomplishments, and revealed in an SEC filing that this year it is holding upfront meetings with advertisers for the first time. Similarly, the company has also launched a content play in The Roku Channel, which is baked into its devices and platform. The company sells ads on the channel, which is now the number-three most popular channel on its platform. The company said in its quarterly report that it has plans to bring the channel beyond its walled garden. “We are exploring options for expanding The Roku Channel’s reach,” the company wrote. “In March, we announced that we will make The Roku Channel available off the Roku platform starting this summer with Samsung TVs. We believe there is a significant opportunity to take The Roku Channel beyond the Roku OS platform to other large-scale platforms."